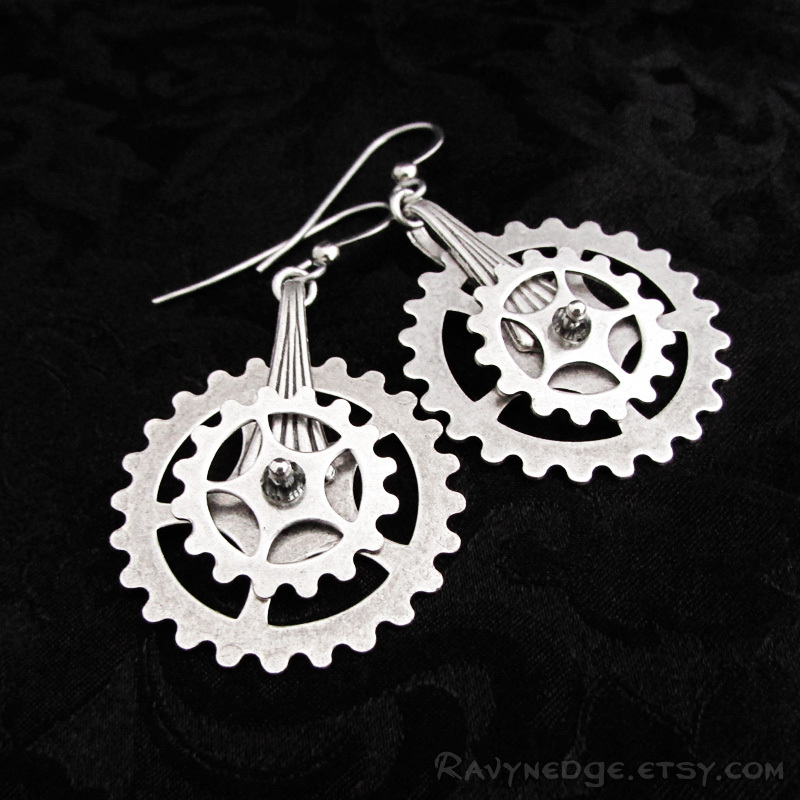 Pendulum Earrings - Silver Gear Steampunk Earrings by RavynEdge. 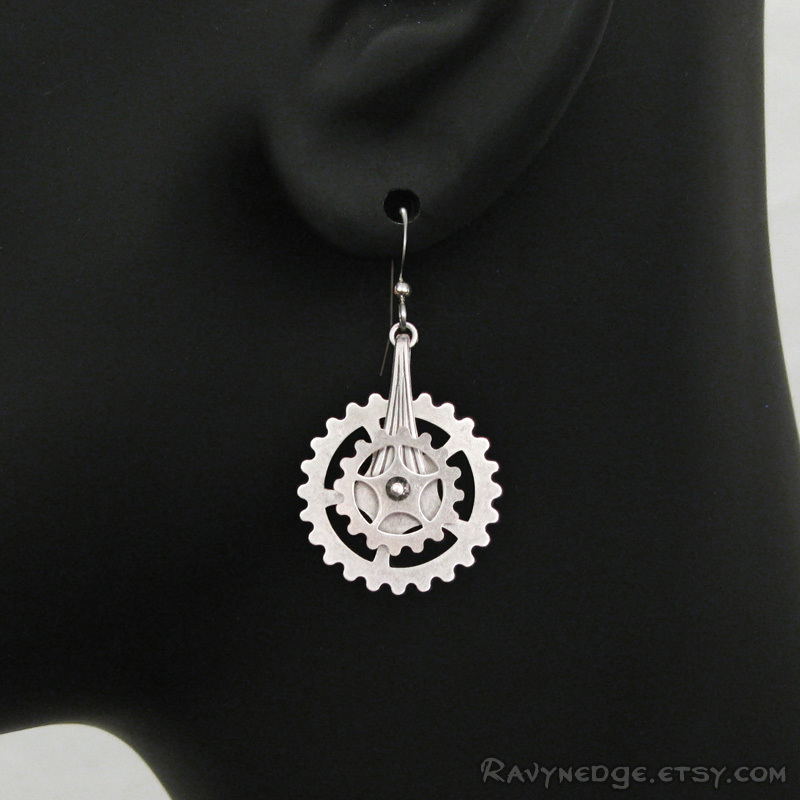 Rock your inner steampunk with these whimsical earrings made from gear shaped stampings and decorated with a tiny black diamond satin Swarovski bead in the center. 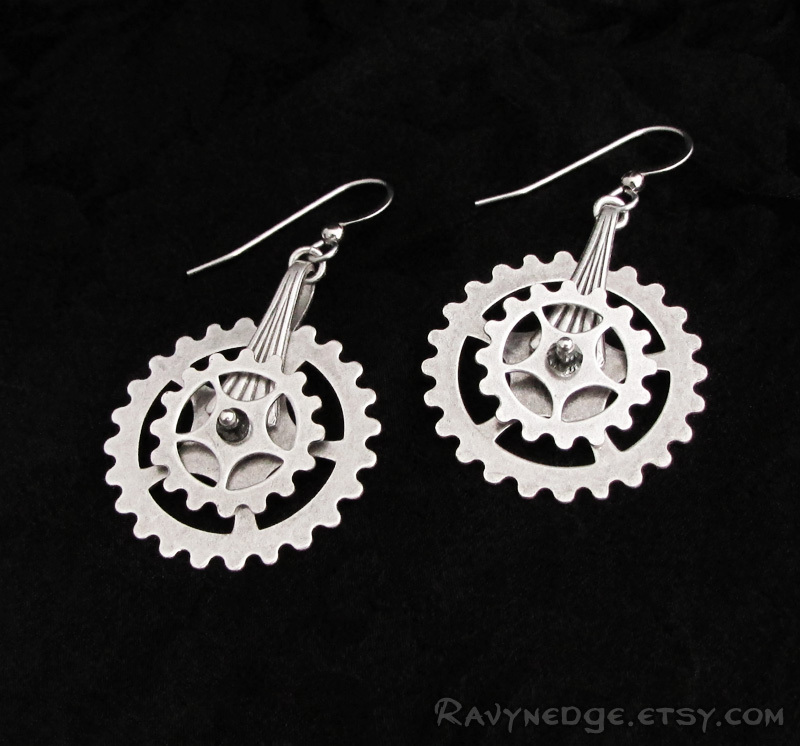 These earrings are lightweight and have great movement. 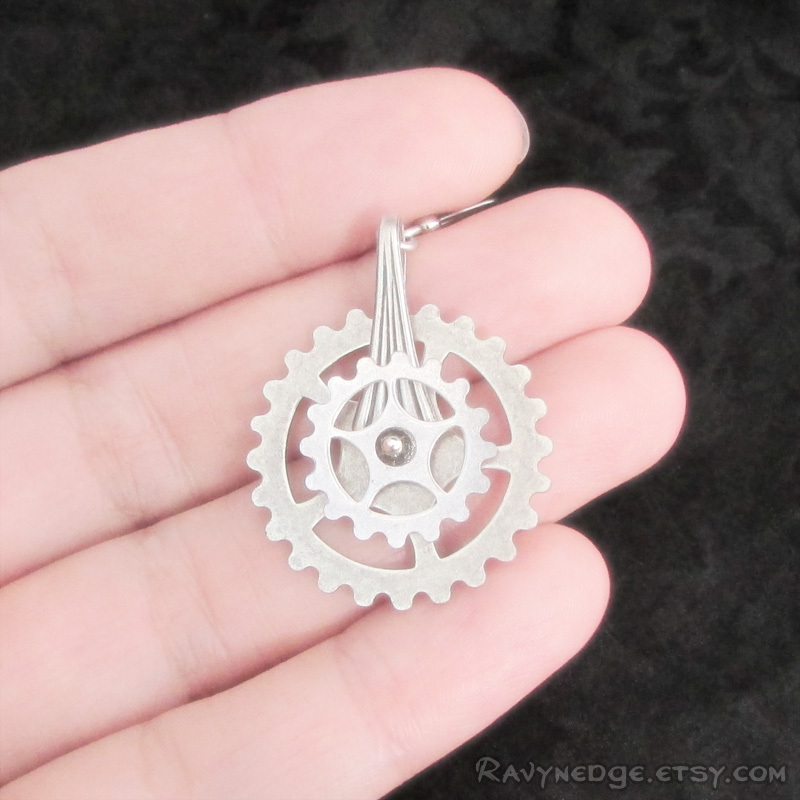 Measures approximately 1.9 inches (48mm) from the top of the ear wire. Includes a pair of 4mm clear hypo-allergenic poly-clutches which slip onto the end of ear wires to prevent loss. 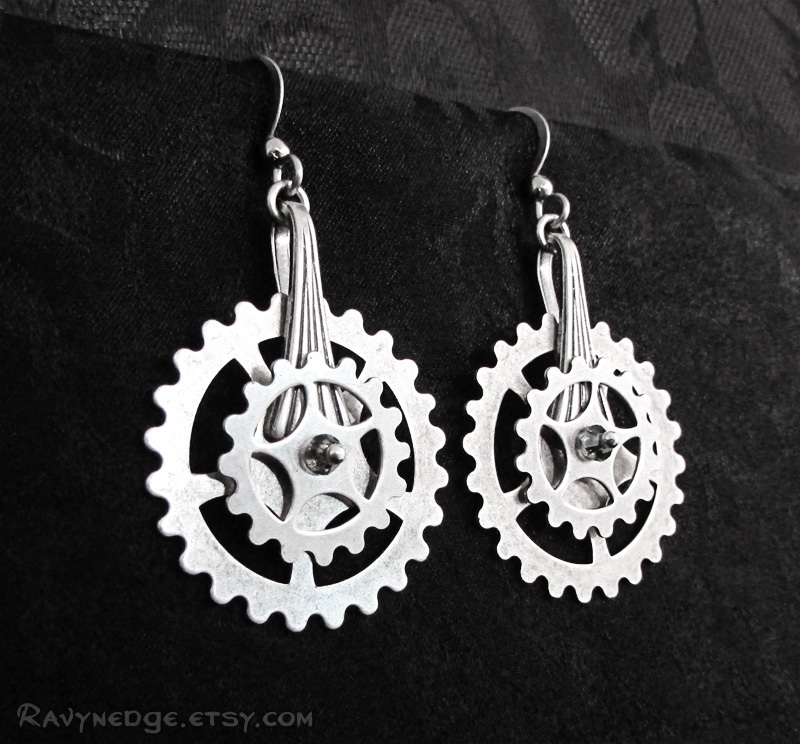 The earrings are made of sterling silver plated brass, oxidized to bring out the incredible details. The ear wire is surgical steel for sensitive ears.